It turns out that Notch isn’t the only guy who can afford to splurge on some swanky digs thanks to the magic of Minecraft. 23-year-old YouTuber Jordan “CaptainSparklez” Maron recently splurged on a $4.5 million pad above the Sunset Strip in Hollywood, and while it may not be in the league of Casa Notch, Maron didn’t make Minecraft—he just plays it. The house is 4100 square feet, according to Variety, with three bedrooms, five baths, glass-railed terraces on each of the three floors, an outdoor fireplace, sunken wet bar, and a terrace with a stainless-steel barbecue, “party-sized spa,” and infinity swimming pool. Suddenly John Carmack’s Ferrari seems a bit trite, doesn’t it? Twitch.tv to watch the best gamers in the world play their favorite franchises, from League of Legends and Dota 2 to Minecraft and HearthStone. The live-streaming platform grew from humble beginnings. Video broadcasting site Justin.tv spun off its gaming content to a new site, Twitch, in 2011. 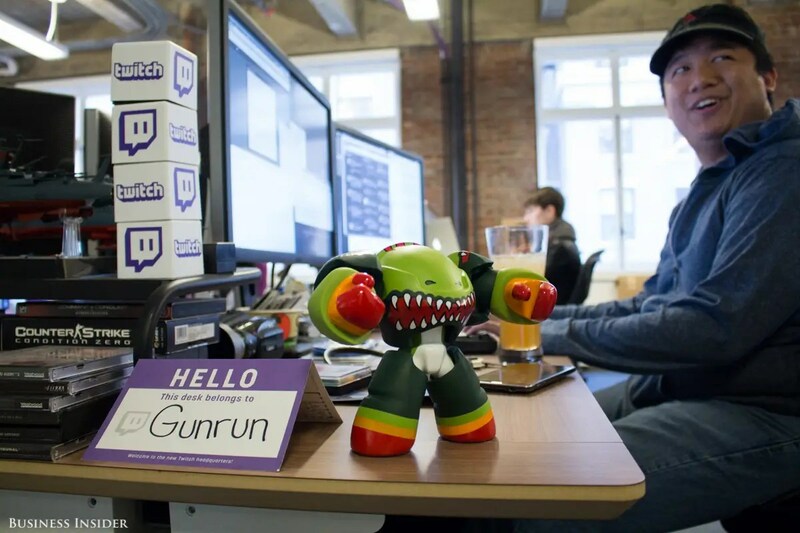 Acquired by Amazon for $970 million last August, Twitch is now the fourth-largest site in the US in peak traffic. 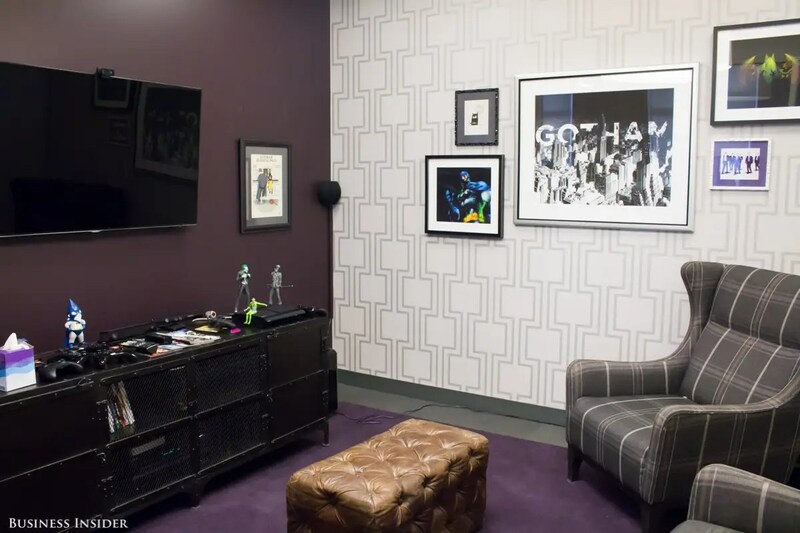 I recently visited Twitch’s headquarters in San Francisco’s Financial District and discovered those gamers turned tech moguls are really living the life. 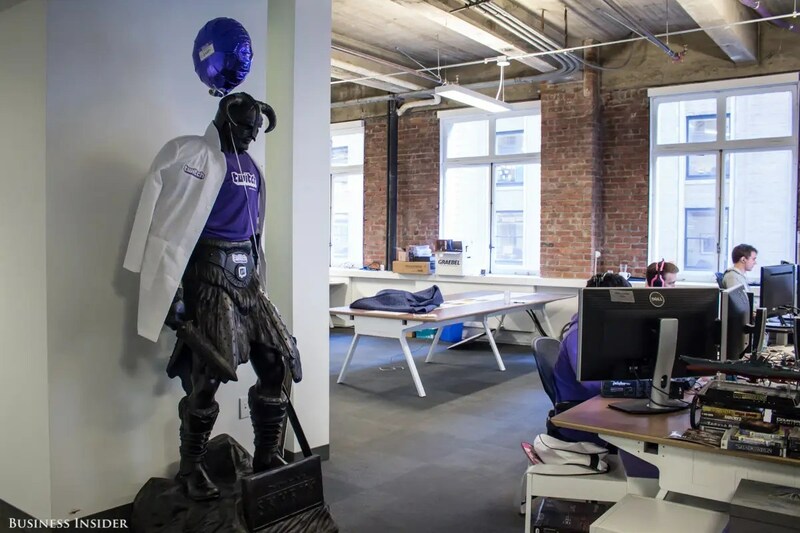 The Twitch headquarters in San Francisco’s Financial District feels like another world. 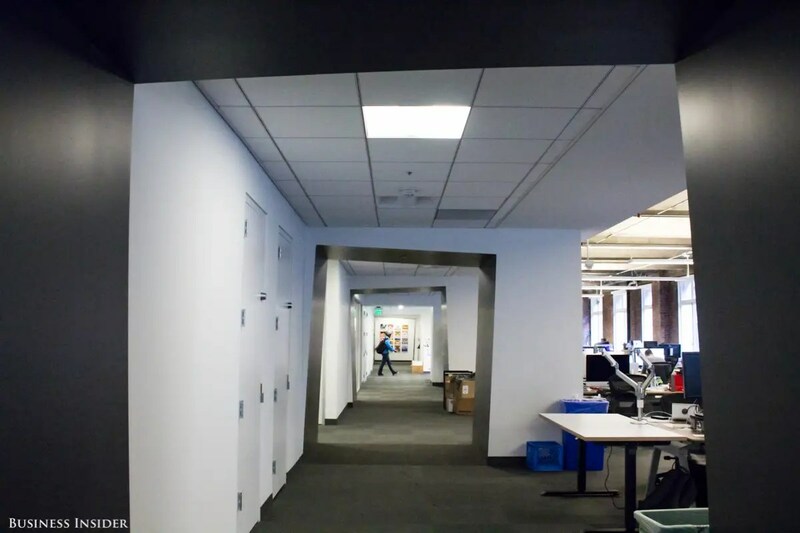 Just past the reception desk, the hallway arches slant to the side, creating an optical-illusion-like experience. 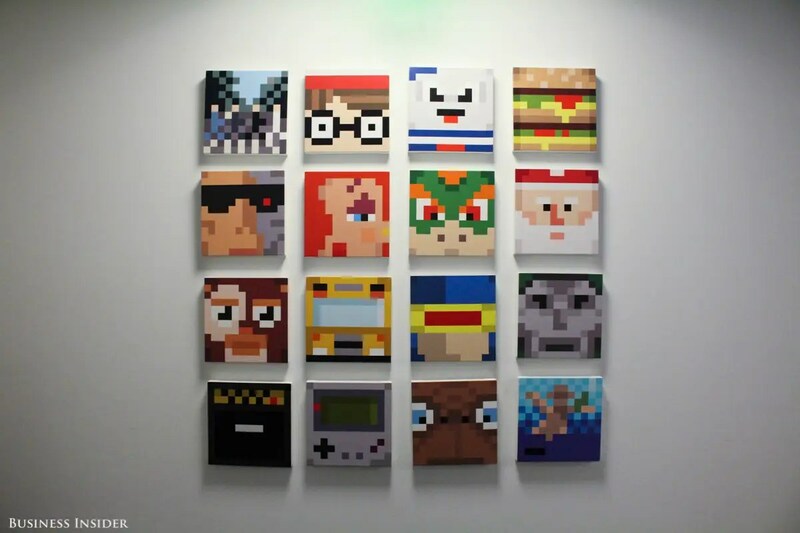 At the end of the hall, a gallery wall displays works of “bit art,” or illustrations using large pixels of solid color to make recognizable figures. Marvel’s Cyclops, Nintendo’s Bowser, a Game Boy, E.T., Santa Claus, and others appear. 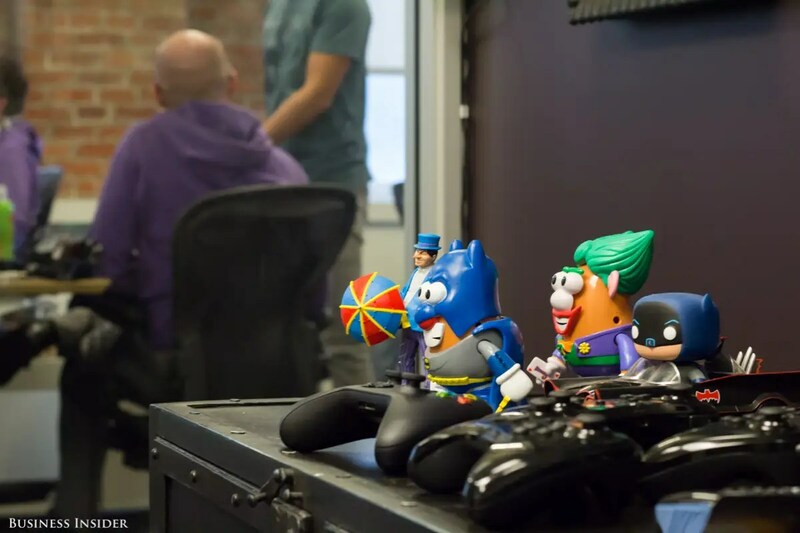 Replicas of iconic video game characters and weapons are scattered throughout the office. This Zero Point Energy Field Manipulator, or “gravity gun,” is one of 30 replicas signed by the entire team at Valve, the game developer behind the Half-Life franchise. Around the corner, a character from the role-playing open-world game Fallout greets you with its laser rifle. 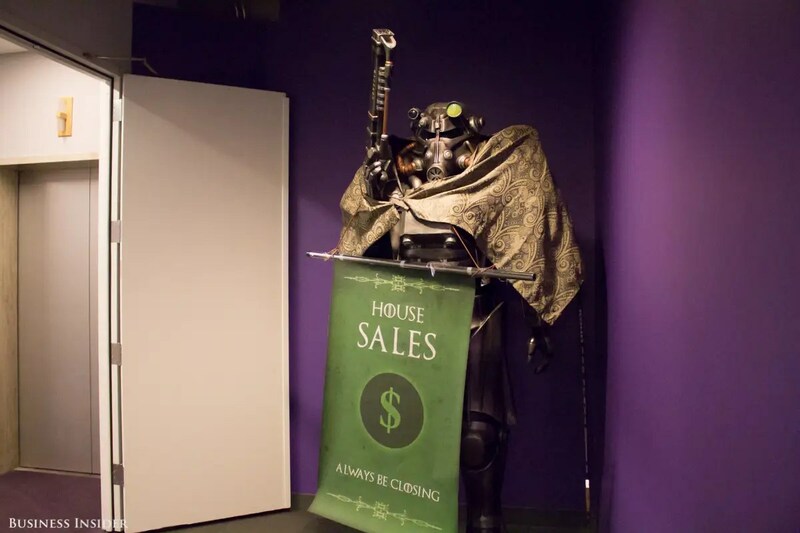 The Sales team dressed it up in “Game of Thrones” garb for an office contest. Here in the studio, staff, streamers, and special guests film “Twitch Weekly,” a live talk show where they make company announcements and commentate on the industry. 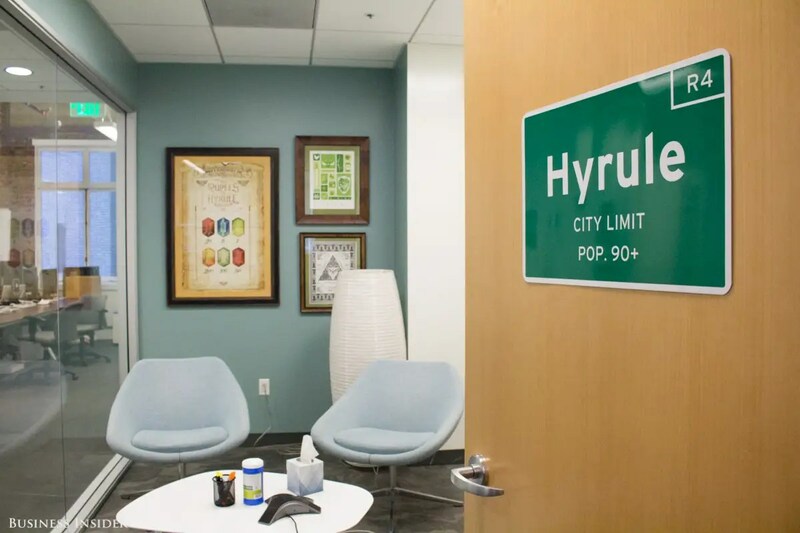 Themed conference rooms pay tribute to places in different video game worlds. The mythical kingdom Hyrule serves as a center stage for many games in the Legend of Zelda series. Shrouded in darkness and mystery, Gotham City sets the tone for the Batman: Arkham series … and serious meetings. Even so, Batman Mr. Potato Head and Joker Mr. Potato Head lighten it up a bit. 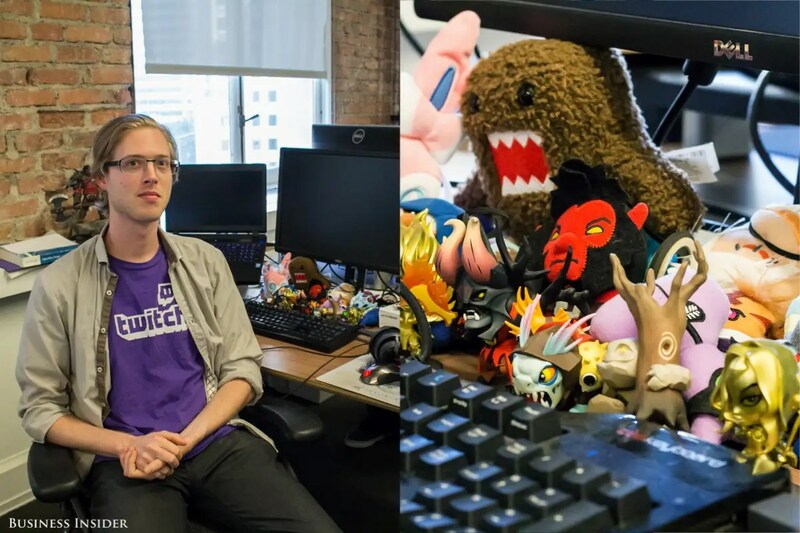 Some of the most impressive collectibles in the office can be found on employees’ desks. Jos Kraaijeveld, a software engineer, owns two gold-painted Demihero figurines from the video game Dota 2. Kraaijeveld hosts workshops on how to play Dota 2 after work. We imagine there’s some pretty sweet stuff in here, but it is off-limits to visitors. 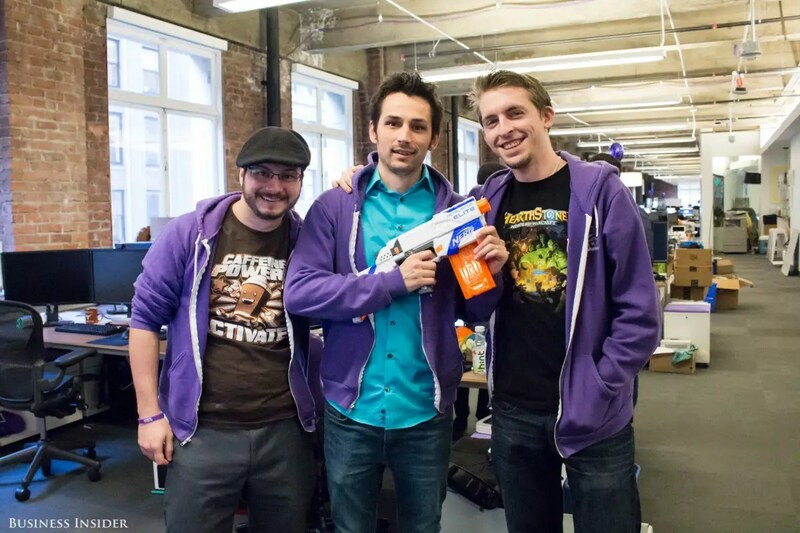 The purple Twitch hoodies are considered prized possessions in the gaming community. The company sold 2,000 sweatshirts when its online store relaunched last year; today, they go for upwards of $500 on Ebay. 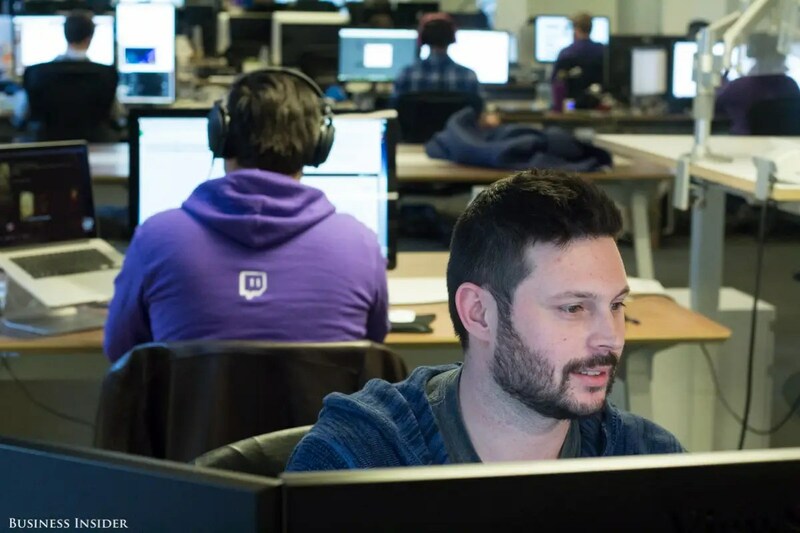 (L-R) Nick Jenkins, John Howell, and Tyler Nosenzo work in the Twitch Partner Program, which is how Twitch’s top broadcasters earn revenue from their streams. 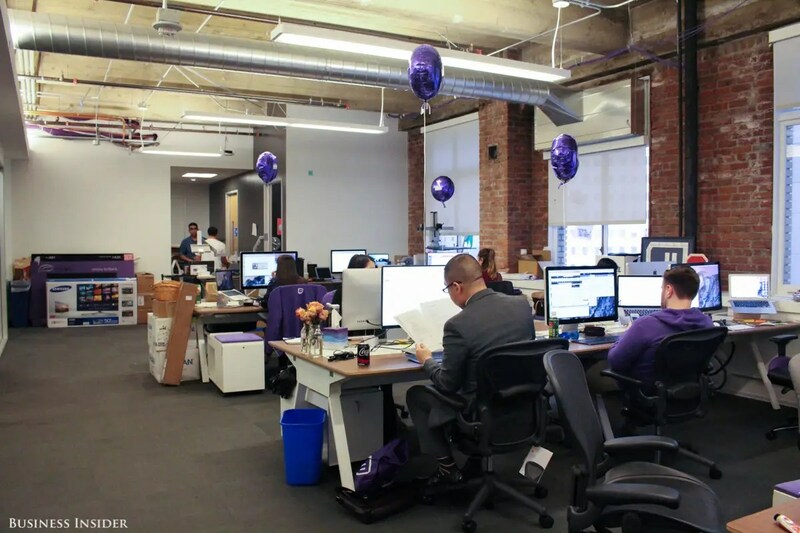 Every employee gets a purple hoodie on their first day. The purple balloons mark where the newbies sit. 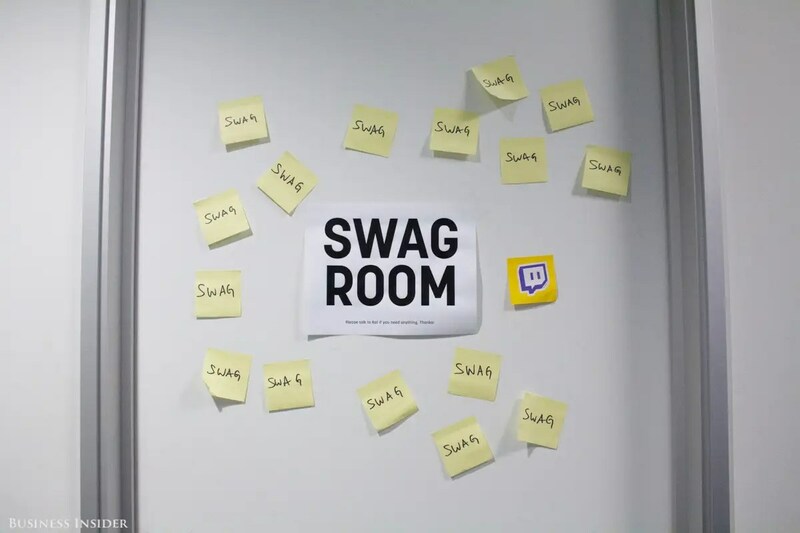 Working at Twitch comes with all kinds of cool perks, like catered lunches and dinners, regularly scheduled massages, and tickets to gaming conventions and e-sports tournaments. 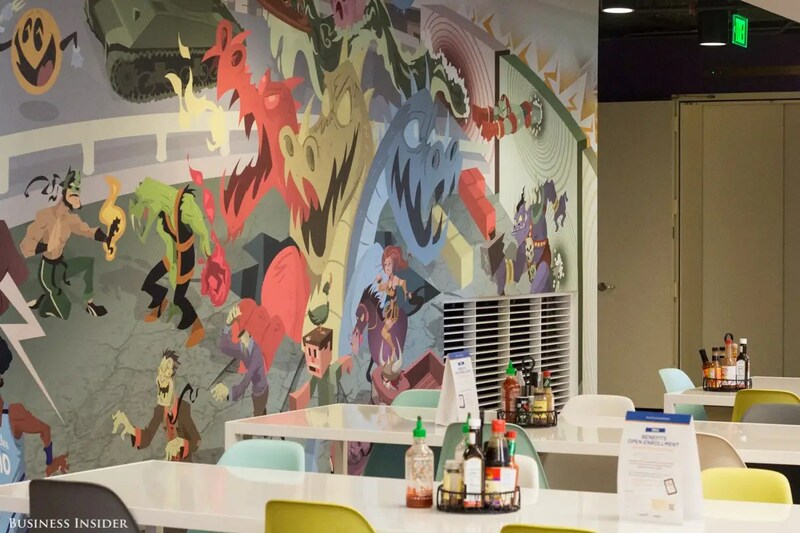 The room’s mural, commissioned from an Oakland-based artist, brings together iconic figures from gaming culture. It also depicts Kappa, a former Justin.tv employee whose face became a famous Twitch meme, used to suggest sarcasm or trolling. Employees enjoy fine liquors at the office bar after hours. 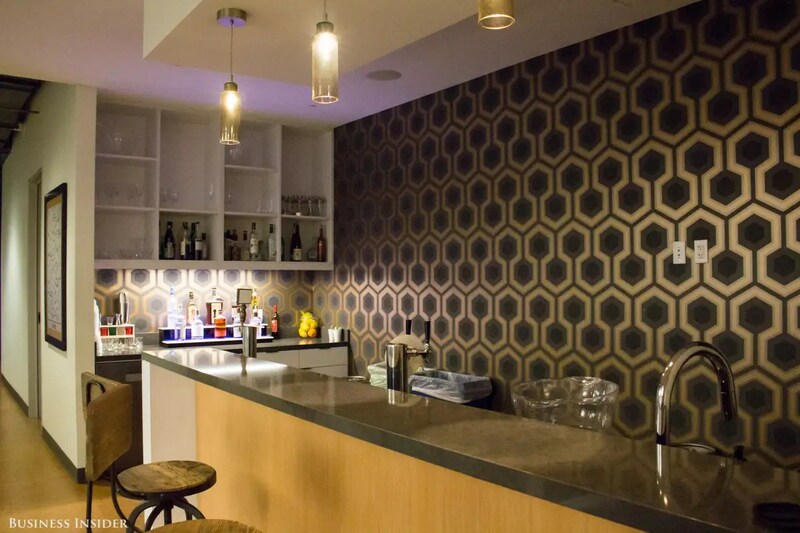 Fans of “The Shining” may recognize the wallpaper from the movie’s hotel interior. 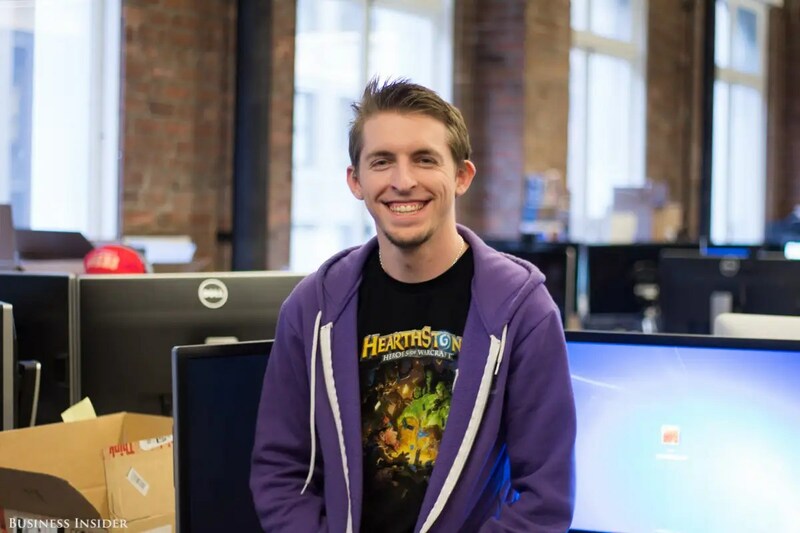 Tyler Nosenzo caught the attention of Twitch’s community moderators for his funny and insightful comments on the stream. Now he works as an associate in the Partners Program, identifying talented broadcasters and helping them grow their subscriptions. Justin “TheGunrun” Ignacio went from e-sports fanboy to streaming guru by the time he was 21. 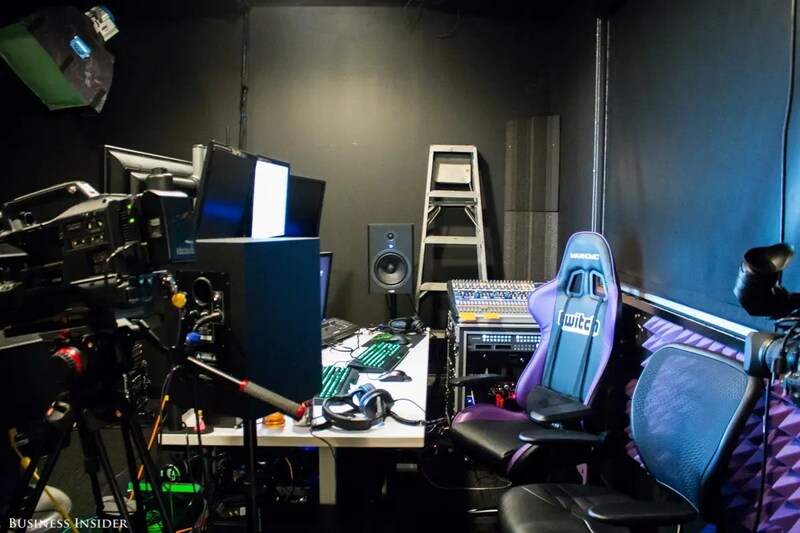 Twitch hired him out of college to help run thousands of simultaneous video streams, and orchestrate the tech for its signature tournaments. 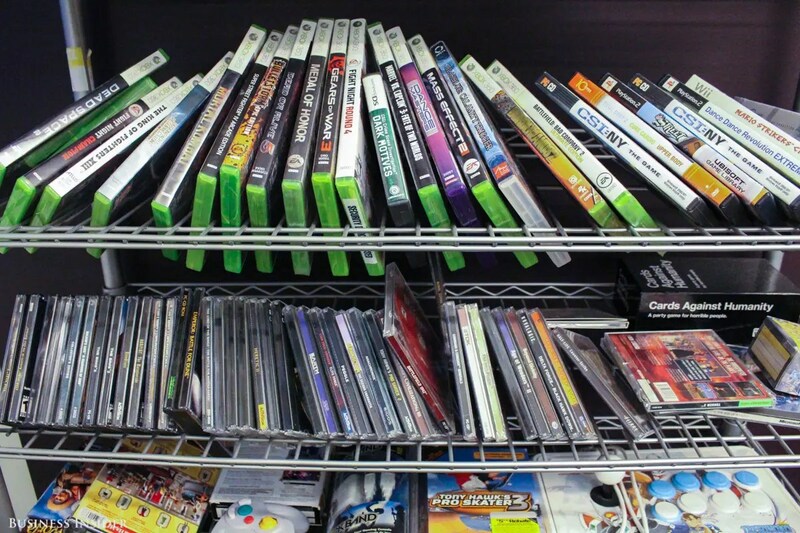 In 2013, Forbes named Ignacio in its 30 Under 30: Games list. 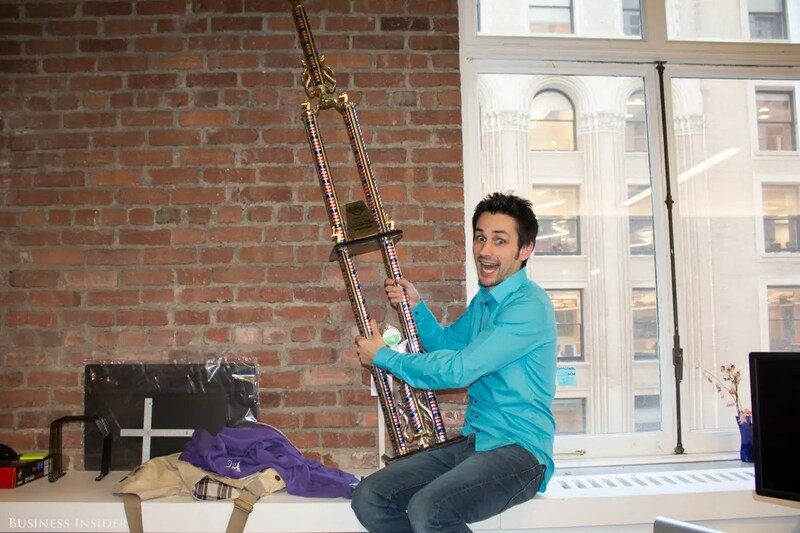 John Howell, director of Partnerships Development, won this behemoth trophy after placing first in an inter-office League of Legends tournament. Howell only had to play against one coworker to win, which has become an inside joke among his coworkers. 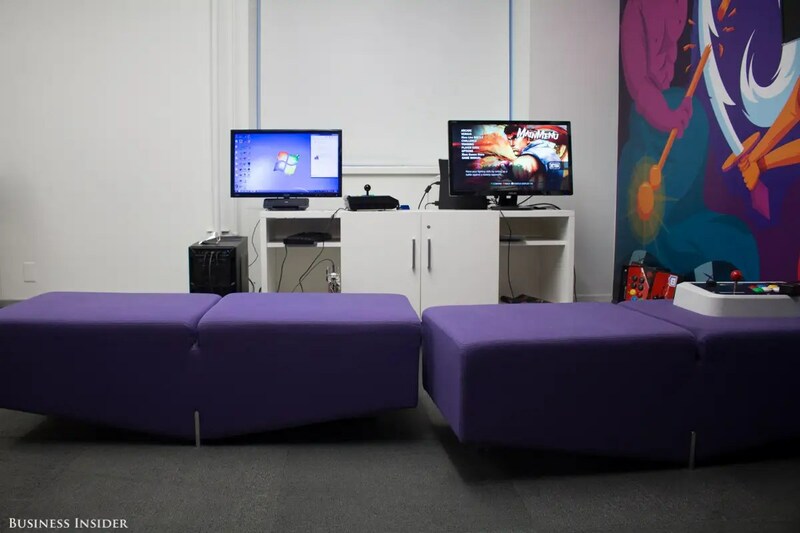 … or just doing the daily grind at their desks, Twitch seems like an awesome place to work among friends. Middle-Earth Shadow of Mordor: the most insane & thrilling combat I’ve experienced in a game for a long time!